The calming influence of no-enemy mods. Mods for games are usually additive. New features, forgotten content… mods are usually about putting more into a game. Yet in recent years we’ve seen the rise of a particular kind of mod that takes things away. Specifically, taking away a game’s enemies or threats. We previously covered a mod which removed all danger from first-person sci-fi horror Soma—it later become an official game mode—but there are plenty more games out there getting mods that do the same and they’re equally fascinating. 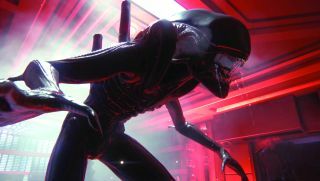 The nerve-shredding Alien: Isolation seems like an obvious candidate for the no-enemy treatment and Paul Huwe, senior scientific software developer at NASA, took it upon himself to create that experience. “I did find a ‘no alien’ mod, it didn’t remove the alien, but rather spawned it as an inert NPC,” he explains. Editing those files and testing the mod was tedious and required careful attention to detail, but after 40-60 hours the mod was ready. At the time of writing it has had 1,392 downloads. That’s not a huge amount but it shows that there’s definitely an audience for this kind of experience. If it seems outrageous to remove the threat from Alien: Isolation, it might seem downright sacrilegious to remove enemies from Dark Souls. But that’s exactly what modder Jgwman did with Dark Souls II: Scholar of the First Sin. Creating the mod was not the most straightforward task, however. “Given that From Software does not support community content (quite the opposite, in fact), creating mods for the Dark Souls games tends be complicated,” says Jgwman. “For this mod in particular, I had to essentially discover how many of the game’s filetypes worked on my own, with help from others knowledgeable about Dark Souls II.” Fellow modders Benzoin-Gum and Atvaark proved particularly helpful. Removing the enemies and threats of Dark Souls might seem blasphemous but the situation was completely different for the cult classic Mirror’s Edge. Fans were clamouring for a way to remove the danger from the game and just enjoy its wonderful free running. Modder Saverio Ruggieri, known as S1y, would eventually create an option for this with his No Enemies mod but started with a very different aim: taking on the role of a pursuit cop and chasing runners instead. Leaving that project behind, Ruggieri turned his attention to a no-enemy mod. None of these mods are hugely popular but they do still have an audience. With Frictional now offering a no-danger experience as an official part of Soma it’s perhaps time to ask whether more games could offer similar ways to explore their worlds. Not everyone has nerves of steel after all. But, even if ‘no-enemy’ or ‘no-threat’ modes stay out of the official experience, there are many modders out there that are willing to step in and provide that experience for everyone.